There’s no dog quite like your dog, right? That’s how I feel too. Haley is a very special dog. She’s one of a kind and I would definitely call her my heart dog. It’s hard to imagine not having her in our lives, but as her face gets a little more gray each day and she grows into her senior status, we’ve had a few hypothetical conversations about cloning her. If we wanted to go through with it, it’s not complicated on our end. 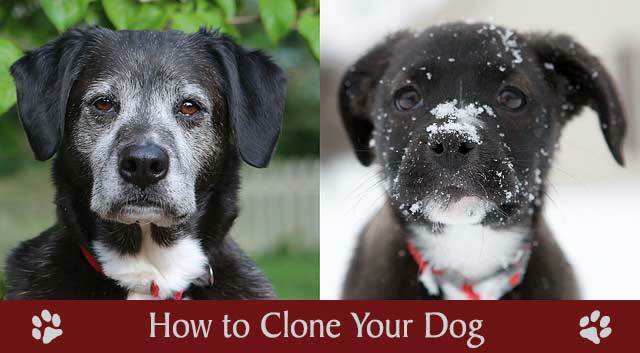 Here’s how to clone your dog. Step 1 – Collect a tissue sample from your dog. This can be performed by your vet while your dog is alive or up to five days after death, as long as your dog has been properly prepared and refrigerated. Step 2 – Send the tissue sample to Sooam Biotech Research Foundation or ViaGen along with your payment of $100,000 ($50,000 if using ViaGen). Step 3 – Collect your cloned puppy when it’s ready to come home. The cost of cloning pretty much takes the decision out of our hands. That’s a lot of money! But the truth is, I’m not sure I would go through with it, even if it cost much less. But before I get into that, here’s a brief explanation of what happens during the cloning process. A cell from your dog’s tissue sample is altered by removing the nucleus which contains your dog’s DNA or genetic information. Meanwhile, an egg is harvested from a donor female at the cloning facility. Next, the nucleus from the donor female’s cell is removed from the egg and replaced with your dog’s nucleus. The egg is then given an electrical shock to stimulate cell division. After a few days, an embryo has developed and the egg is implanted into a surrogate female dog where it’s carried to full term and delivered. 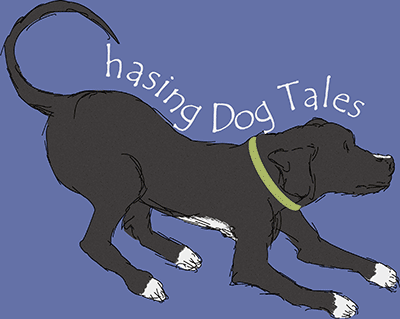 Now that you know how to clone your dog, the difficult question is: Would you clone your dog? Here are a few things you might not know about cloning your pet. A cloned dog is not going to be exactly like the original. 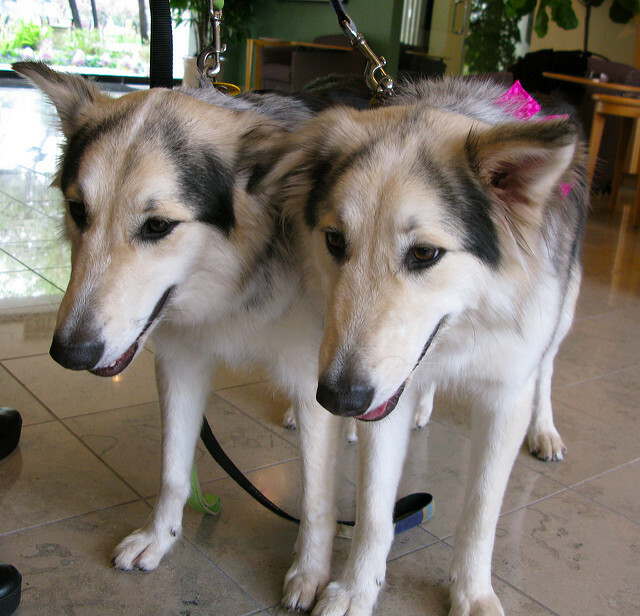 Although the two dogs will be genetic copies (like human twins), they may not look exactly alike. Also, the environment in which the new puppy will be raised will be different, creating a dog with its own distinct personality. Since you may not receive your puppy for a few months after it’s born, some personality traits will already be developed. There are no health guarantees with cloned dogs. It’s still too early to tell if cloned pets have an increased risk of health issues or early death and you shouldn’t expect a cloned pet to be healthier than the original. It’s likely that any genetic health issues the original pet had may also be present in the clone. However, being aware of genetic health risks may give you the opportunity for prevention or early treatment, possibly resulting in a healthier pup. If you’re undecided about cloning, you can still preserve your dog’s tissue and decide later. ViaGen offers a tissue banking service for pet owners that might want to clone their pet in the future. They recommend you collect the tissue sample while your dog is still alive to ensure the best quality cells. The cost of cloning Haley makes it prohibitive, but what if it cost $10,000 or just $1,000? Would I be tempted to clone her? I love her boxer/lab mix and cloning her would save me the hassle of trying to track down a puppy of the same breed mix and color. But what about all the unwanted dogs in need of good homes? Does it make sense to pay money (a LOT of money) for a puppy just because it looks like Haley? In a certain way, cloning her would ensure a part of her would live on. But would I feel disappointed if the clone didn’t live up to my expectations of the relationship I have with Haley? On the other hand, it might give me the chance to do better the second time around. Maybe I could avoid some of the mistakes I made with Haley and try to prevent the health issues she’s had. There’s one thing I’m sure of, I couldn’t clone Haley while she’s still alive. I can’t imagine giving a new puppy all the love and attention it needs while my senior girl looks on. She’s a little jealous as it is and it would break my heart to think I was neglecting her while training her replacement. I can understand why cloning might make sense for working dogs with exceptional genetics, but there’s only one Haley. She’s an original that can’t be duplicated or replaced like a piece of furniture. I would rather have the beautiful memories of her and our relationship than to replace her with a copy that I might always compare her to. Yes, she is my heart dog and I wish she could live forever, but that doesn’t mean I can’t have meaningful relationships with many different dogs. They are all unique and special. That’s why we love them so much! What are your thoughts on cloning? Share them in the comment section below! A clone of my furbabies would not be my furbabies. They would not have the same heart and soul. I agree, Ann! It was advertised early on that cloning would give you the chance to have your dog back again. I’m glad they’re not promoting it that way anymore since that’s very misleading. Interesting video, thanks for the share. Thanks, Kim. ? Thanks for stopping by today! I don’t know how I feel about cloning. 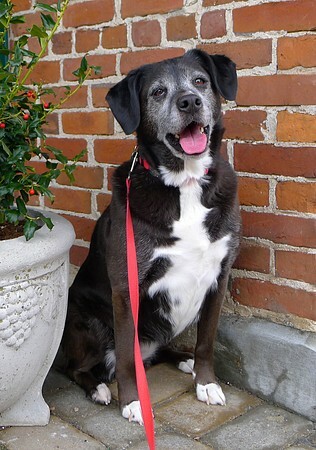 I certainly understand why some might want to, but for me it’s knowing that it’s not the same dog – it won’t have the same memories or bond – that makes me think I’ll just rescue another dog when the time is right. If you haven’t heard it yet you’ve got to listen to This American Life’s “Reunited (And it Feel’s So Good) episode about a cloned bull named Chance. It’s an eye opening look at how a cloned animal might turn out completely different than you think. I just read the transcript of Reunited and it was so interesting. You have to wonder about the temperament and health issues of clones, but Ralph never gave up on him. I never thought about what they said at the end too…you lose them twice. Thanks for sharing that, Jen! ? I think you would always be comparing the clone to the original and either feeling guilty if you like it more or disappointed if you liked it less. I agree, better to have the wonderful memories and move on. It’s an interesting conversation…when I first heard I could clone Sampson I admit, I was interested. But as you pointed out, the puppy would simply have the same DNA that Sampson had, and while we would do our best with a new puppy, there is no way we could guarantee the same experiences that Sampson had, that shaped him into the amazing dog that he is. Yes, like your Haley, Sampson is my heart dog and even if I could clone him exactly, right down to every single thing that makes him so perfect, I don’t think I would. 1) I hate that dogs are used for reproduction purposes and 2) I don’t think my heart could take losing him twice, because it still wouldn’t be Sampson. You make a wonderful point about how all that money could be put to better use helping animals that really need it. Wouldn’t it be horrible to spend $50,000 and then be disappointed if things didn’t work out well? Wow, after watching that video I realize how controversial cloning a dog is! My initial thoughts are not about the cloned dog but about how dogs are used in the process; the “rental” dogs as they call them. Who are these dogs that get repeatedly sedated & sliced open for the benefit of cloning another dog?? The process seems inhumane to me, I’m really concerned about the egg donor and surrogate dogs. Thanks for writing this compelling post and sharing that video, it’s been quite an education! Sharing this for sure. I wondered about that too, Cathy. There’s also another controversial aspect because they usually clone more than one embryo, then pick the closest physical match to give to the client. What do they do with the other puppies? There’s definitely more to consider here than the cost and whether or not you should clone your dog. Wow, that’s a loaded question! I actually thought you were joking at first until I realized that it apparently IS possible to REALLY clone your dog! While Missy & Buzz are both my heart dogs just like Haley is yours, I couldn’t bring myself to clone either of them – first of all, I don’t have the necessary cash for the procedure, and second of all, I don’t think that we as humans should be playing God. The cycle of life & death was created for a reason, after all. Yeah, it’s crazy to think they’ve already cloned over 600 dogs for people who have that kind of money. They also clone cats and it’s interesting that it’s much cheaper to have your cat cloned. I wonder why. ? thanks for the information on Cloning. It is a ton of money and yes you might not get what you were expecting. I too would be disappointed if it didn’t live up so I might as well not do it. There are a lot of other things we could spend that $100,000 on too, lol! Never. Every dog, like every human, has its own distinct personality and sense of humor. It wouldn’t ever be the same. I am content to have each dog in my life and love them for who they are—not who I wish they would be. Besides, at the end of the rainbow bridge all my fur babies will be waiting for me. What a glorious day that will be! Indeed! What a homecoming that will be to reunited with all of them. ? Oh, how I would LOVE to have exact replicas (including personality and temperament) of all of my long gone dogs. ALL at once even! LOL. But, sadly that isn’t how cloning works. So, I’ll keep the imperfections along with the joy of the dogs I currently have and love them until the end. For as much as I hate losing them… my life would be far less without the experience of each of them. I love your attitude, Betty! Sometimes those imperfections just make life more interesting, haha. Thanks for sharing the video link. That’s the same cloned bull that Jen mentioned in her comment and I was able to find a transcript of the show, but the video brings the story to life. They had a great attitude too and loved the second bull despite it not being quite the same as the original, Chance. ?